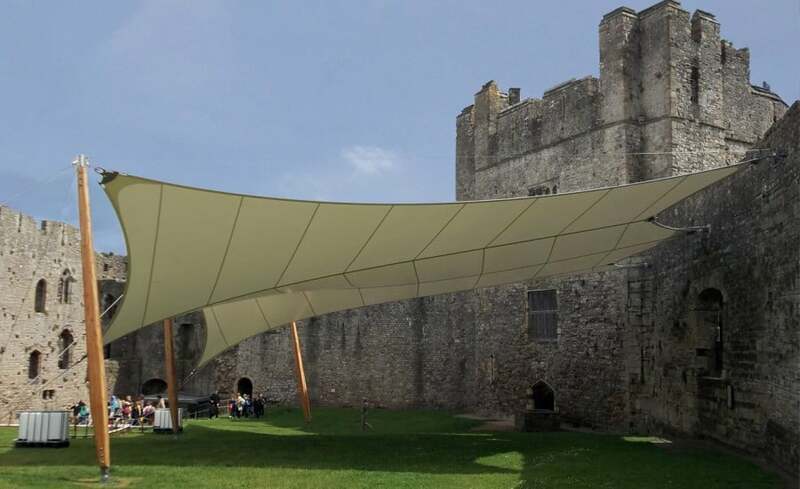 Architen Landrell had been in discussions with the Chepstow Festival Committee, in particular Ned Heywood and Chepstow based architects Hall and Bednarczyk, and for over 20 years about the feasibility of a demountable audience canopy in the grounds of Chepstow Castle. All sites of Welsh Heritage are under the care of CADW (from the Welsh word to keep or to protect) which is the Welsh Government’s historic environment service, and so any construction in or around the Castle grounds involves a lot of planning. 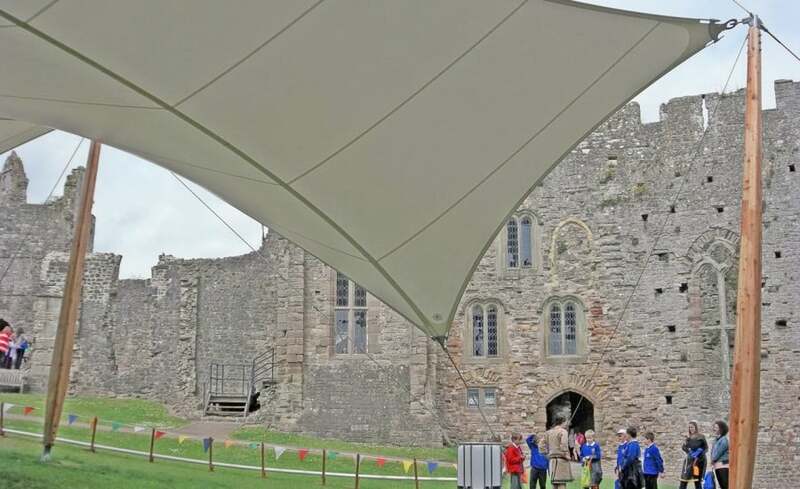 The 300 s/m canopy is located in the lower bailey of Chepstow Castle. 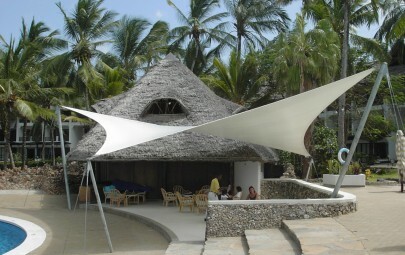 The canopy is constructed out of white PVC polyester fabric which has a PVDF lacquer coating to protect against microbial and fungal attack, the fabric is also very strong, more durable than some fabrics and is easy to handle which is ideal for a demountable structure. 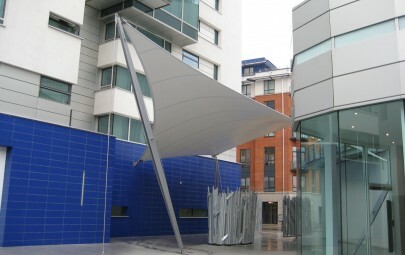 A fabric of this specification should have a life expectancy of anywhere between 25-30 years but as this structure is only being used for 6 weeks a year we would expect it to last longer, obviously the correct maintenance and storage is imperative to prolonging the life of tensile fabric. The project was given the go-ahead by CADW in 2011 and the Architen Landrell design team set about making the architects,Hall & Bednarczyk and the Chepstow Festival Committee’s impressive design into reality. 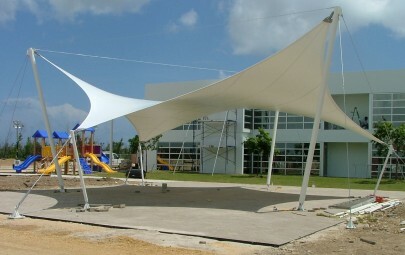 Unfortunately the Castle walls as they stood could not withstand the loads which would be imposed by the fabric canopy; steel reinforcements were installed overlaying the existing concrete supports to support the wall and the loads imposed by the canopy. Taking a ‘ridge and valley’ shape the structure complements the castle grounds and provides an aesthetically pleasing sheltered space designed to accommodate open air theatre. 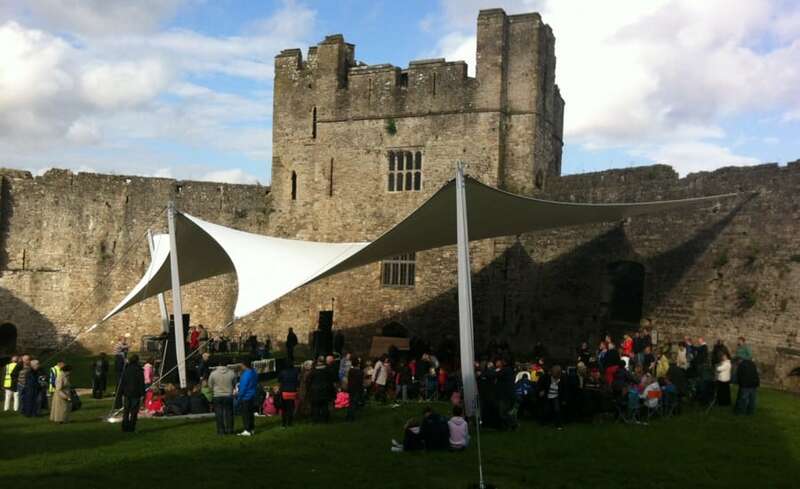 With the addition of a tensile fabric canopy, the Chepstow Festival has became one of Britain’s largest festival of open air theatre.